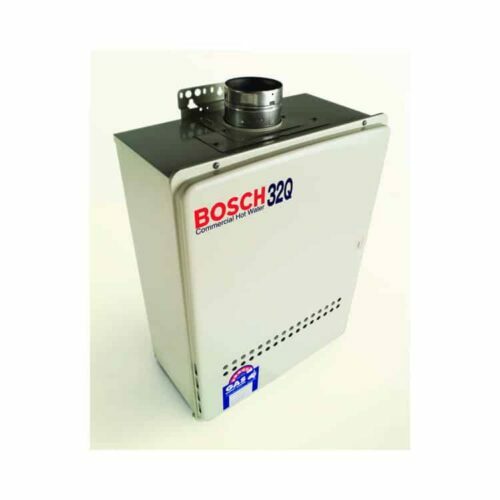 Bosch have developed the Commercial Condensing (32C) to complement their already comprehensive range of high efficient Commercial hot water units. 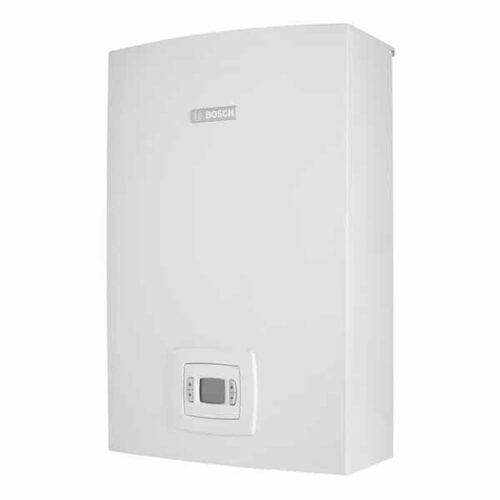 The new Bosch 32C will sit at the top of the range as the most efficient Commercial gas hot water unit on the market today. With the ever increasing push for greater efficiency in the Commercial hot water markets to meet Environmentally Sustainable Development (ESD) standards and return on investment, the new Bosch 32C will be sure to exceed all expectations. 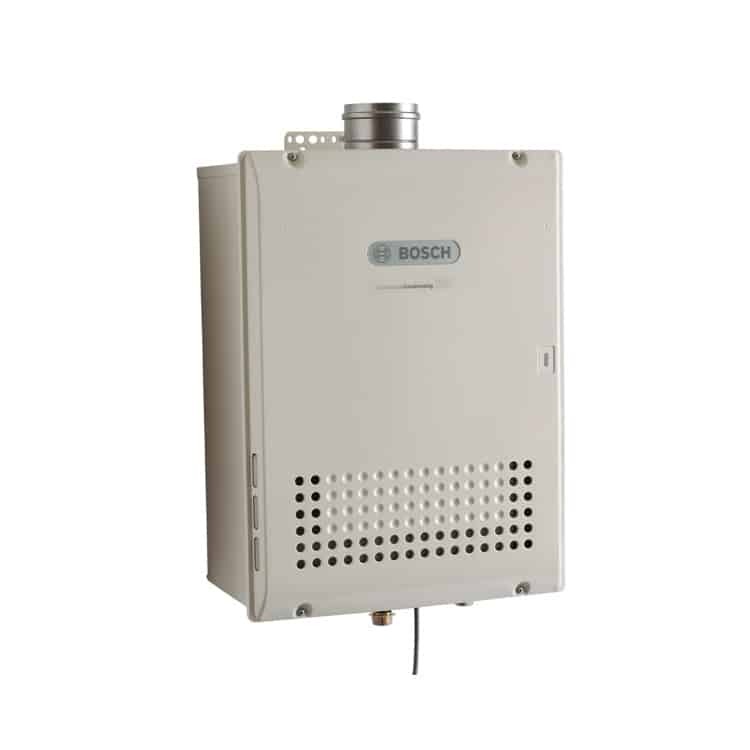 The new Bosch 32C gas hot water unit is the next generation in obtaining hot water by condensing technology. This product innovation utilises a dual heat exchanger created from a fusion of stainless steel and copper heat exchangers. The 100% stainless steel component captures the residual heat from the exhaust gas to preheat the incoming water prior to the water entering the main copper heat exchanger – making the appliance over 94% efficient! The Bosch 32C appliance is suited to both Commercial and Domestic settings – anywhere that there is a demand for large volumes of hot water. The 32C can be configured in either external or internal (flueing required) installations and is available in Natural Gas or LPG. For internal installations flueing is required, which is exclusively supplied by Bosch: high quality flue components made from a combination of Poly Propylene and aluminium .The specific characteristics of the 32C flueing system include easy push fit joints, light weight components, vertical or horizontal flue terminals and it is cost effective. Installed internally it requires Poly Propane/Aluminium flueing, which is supplied exclusively by Bosch through Plumbing Supply Stores. The Bosch 32C is fitted with the tried and tested Bosch self diagnostic system and is compatible with the Bosch system controller or quick connect cable for multiple unit installations (manifolded systems). Another key feature of the Bosch 32C is its ability to operate with solar hot water/warm water return systems making it compatible with high efficient solar systems. In order to provide continuity in the Commercial range, the new 32C utilises the same controllers as the existing continuous flow Commercial 32 ltr series (KM3211WHNG/LP). To help ensure the longevity of its performance all of the heater’s are fitted with commercial grade components and a resin coated PC board to increase durability and protection from elements. Did you know? A by-product of the condensing process is corrosive flue condensate. 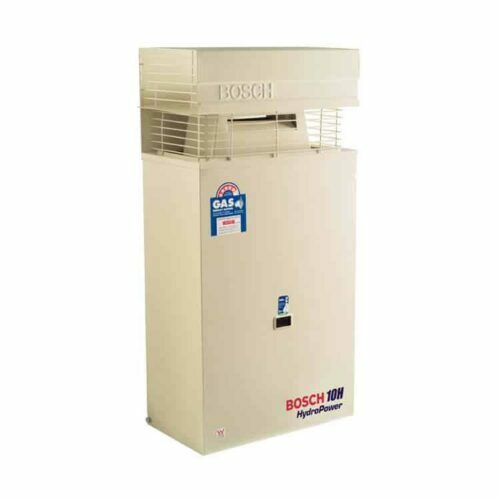 To combat this, the Bosch 32C contains an in-built neutraliser which transforms the acidic condensate into a neutral and environmentally friendly emission. Contact now for Callback & Bosch 32C Best Price!